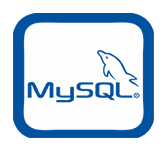 A few words are in order about the directories that contain files which relate to a particular environment that MySQL can run in. The netware directory contains a set of files for interfacing with netware,and anyone who has an involvement with NetWare knows that we're allied with them, and so this is one of the directories that represents the joint enterprise. The NEW-RPMS directory (empty at time of writing) is for Linux, and the os2 directory is for OS/2. Finally,the VC++Files directory is for Windows. We've found that the majority of Windows programmers who download and build MySQL from source use Microsoft Visual C. In the VC++Files directory you will find a nearly complete replication of what's in all the other directories that we've discussed, except that the .c files are modified to account for the quirks of Microsoft tools. Without endorsing by particular names, we should note that other compilers from other manufacturers also work.